This is the elephant in the room. It’s the conundrum that CNN and virtually all mainstream media outlets face. Do you address the possible underlying reasons as to why the behavior in the Republican race for the White House has been so weird? The contrast between the Sunday night Democratic debate and the Thursday night Republican debate is more than startling and stark. It pushes the envelope of how we understand our species. How can two groups of candidates, coming from reasonably similar backgrounds, conduct themselves at such vastly different developmental levels. Bernie Sanders and Hillary Clinton in the Democratic debate are near the top level of “self-actualization” in Abraham Maslow’s Hierarchy of Needs. Republicans seem to be stuck in the bottom two levels, (1) physiological comfort, and (2) safety. American historians flatly state that it has never been like this before. This takes us into very dangerous territory. Who are any of us to accuse others of being crazy? How does any accuser know that he or she is not crazy? And perhaps most importantly, is the word “crazy” to pejorative for anyone to use? Bernie Sanders had the good sense to use the proper language regarding the bizarre behavior of the Republican candidates. He raised the issue of mental health. And if that issue is to be raised about the candidates, does it not follow that it also should be raised about those who support the candidates? Like many progressives, or more accurately, like many people, I have had my own issues with mental health. Depression and anxiety have episodically presented difficult challenges. Fortunately, I have not denied the existence of these challenges, and I have also been able to receive important help from others. I firmly believe that mental health issues should be part of our continuous discussion about ourselves as individuals and the totality of the human experience. There has been recent study of “The Republican Brain,” most specifically with journalist Chris Mooney’s book by the same name. Repeated studies have shown that Republicans tend to lack empathy. Why that is so is open to discussion. But the result is that most Republicans embrace policies that often deny the needs of at-risk individuals or groups within our society. At times, Republicans are outright mean or hostile. Is this behavior a form of mental illness? It seems to reflect a lack of awareness of many who co-inhabit the planet with them. But psychologists are always struggling to define the boundaries between mental illness and just plain aberrant behavior. One possibility is that the problems that progressives seem to have with Republicans reflect learning disabilities” rather than mental illness. Is it possible that Republicans simply have more difficulty picking up logical information than progressives do? 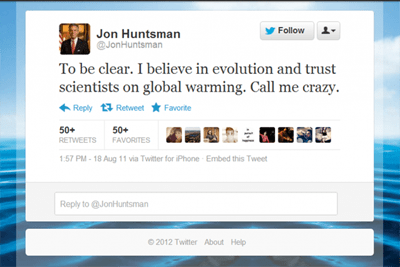 Could that in part explain their irrational views on climate change? Could it also explain the closer connections that Republicans have to fundamentalist religions than Democrats? These are obviously difficult questions to answer, in fact, to even ask. But they are becoming part of our dialogue. Kudos to Bernie Sanders for giving the issue a nudge before a national audience. There seems to be little doubt that when the reviews of Campaign 2016 are in, questions about mental health and learning disabilities will be raised about Republicans. But do we have to wait that long? It would be very dicey for CNN or MSNBC, or even The New York Times, to acknowledge and to try to identify this elephant in the room. But this may be the necessary next step for Americans to address to better understand the current political crisis that faces us.